How lack of exercise affects physical fitness is widely known, but still there are many who are not exercising. You often see people, especially older adults, skipping exercise. This may be because of supposed time constraints as well as physical limitations. Nevertheless, it is important to continue staying active through regular exercise to live longer, healthier and happier. Seniors fitness program in Canton, MA have been strategically developed by certified personal trainers to make regular exercise more appealing, more accommodating and more accessible to older adults. This program includes exercise routines that take into consideration common problems associated with age such as joint pain and muscular atrophy. With the help of a certified personal trainer, seniors will be able to have exercise programs that focus on their unique needs and limitations. Because it is designed to fit your specific requirements, you can be sure that it will benefit you, challenge you and help prevent or put-off age related injuries and ailments. 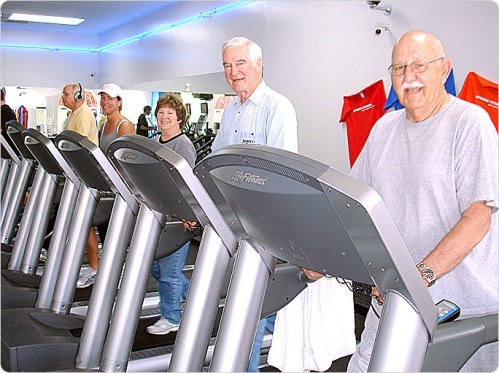 To find out more about the Seniors fitness program in Canton, MA, contact Answer is Fitness.